The Swain Arts Center auditorium has hosted a variety of performances, large and small, from intimate one-person shows to stage shows to instrumental ensembles. Each of the auditorium's 500 seats is a premium seat with excellent viewing and sound. The Swain Arts Center offers a wide variety of performing arts programs for the school and community. The 2017-18 season featured Stars Within Reach production of Spaghetti in a Hot Dog Bun; Kenya Safari Acrobats; Lois Hornbostel and Ehukai Teves; Donna Washington, storyteller; Smoky Mountain Brass Quintet; Mike Wiley – Jackie Robinson, A Game Apart; and Roger Day. 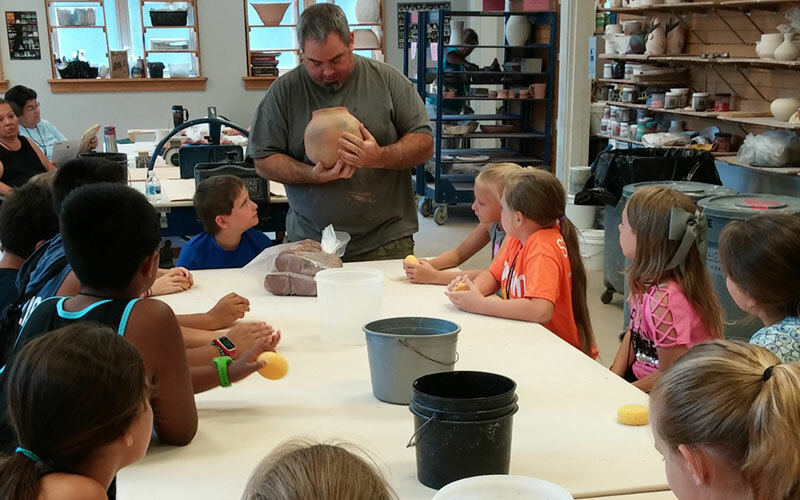 The Swain Arts Center offered our second Summer Arts Camp in June. The program focused on traditional Cherokee storytelling and art. Our students made field trips to significant Cherokee historical and cultural sites and created art projects with instruction from native artisans. 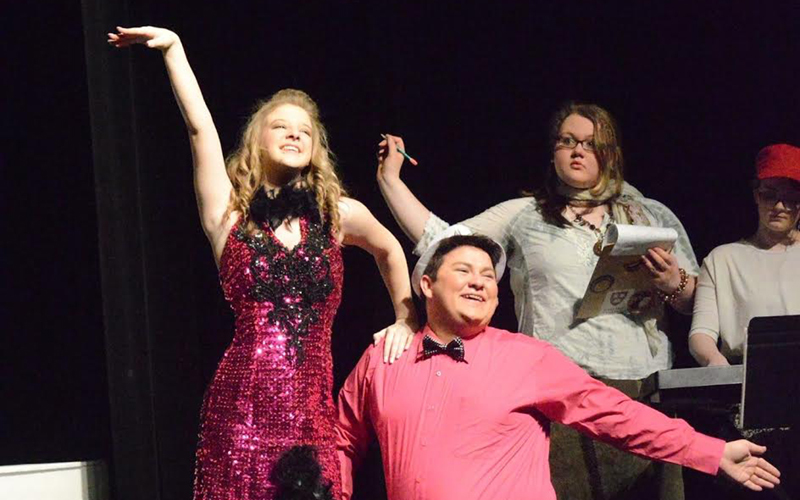 Guest artists present a variety of arts programming for all Swain County School students each year. 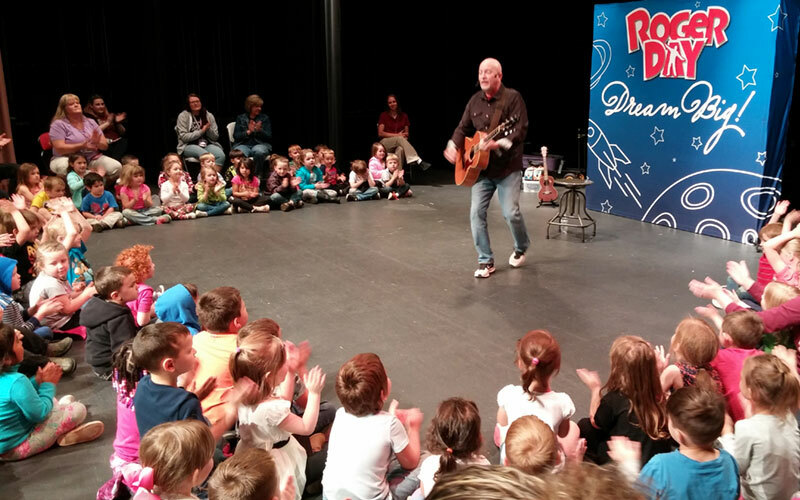 Roger Day performed for our Bright Adventures Pre-K students in April. He inspired students with his Dream Big program. The Spring Musical is always a highlight! This year our chorus, drama, band, art, and carpentry students collaborated to present High School Musical. Great job!